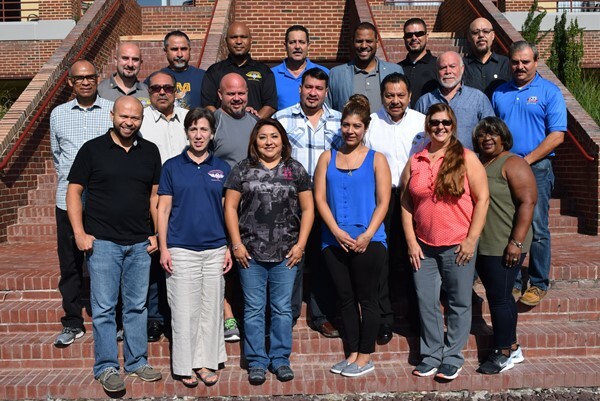 Fifteen IAM members made history last week by completing the first ever Spanish Train-the-Trainer Program at the Winpisinger Education and Technology Center. It’s part of a growing effort to expand learning opportunities to Spanish-speaking IAM members. Local 2725 Steward Daniel Galarza attended the inaugural Spanish train-the-trainer program, which teaches activists how to turn fellow members into activists themselves. Local 2339O Flight Attendant Monica Pasillas says the program enriches and strengthens the IAM. The IAM’s increased emphasis on Spanish-language programs mirrors many workplace’s increase of Latinos, the largest ethnic minority in the United States. The Spanish Leadership Working Group (SLWG) has also been very busy the last two weeks at W3. First, it hosted 24 participants in Spanish Leadership I, one of the largest showings in the program’s history. Then it hosted the Spanish Train-the-Trainer Pilot Program (click here for participants). The next Spanish Leadership Program will be Leadership II, to be held December 4-9, 2016. Click here to download enrollment forms in either Spanish or English directly from the Winpisinger Center’s website. Enrollments in any of the Spanish Leadership programs do not count against a Lodge’s regular Leadership school allotments. The IAM thanks the members of the Spanish Leadership Working Group for doing the heavy lifting to make Spanish-language courses at the Winpisinger Center possible. If you have any questions about the Spanish Leadership Programs or need any additional information, please contact W3 Center Education Representative Edmundo Osorio at 301-373-8814 or eosorio@iamaw.org.